Government Adda 247 Current Affairs Current Affairs 1 September All Important Current Affairs of 1 September 2018. All Important Current Affairs of 1 September 2018. Current Affairs 1 September 2018. Asian Games 2018: Boxer Amit Panghal beat 2016 Olympic champion Hasanboy Dusmatov of Uzbekistan by the 3-2 split verdict to win Gold in men's Light Fly (49kg) boxing event on Day 14 of the Asian Games 2018. Bridge competition Bardhan and Shibhnath Sarkar won a Gold medal. Asian Games 2018: In the bridge competition of Asian Games Bardhan and Shibhnath Sarkar won a gold medal with clinching the top honors in the men's pair event. The 60-year-old Pranab and 56-year-old Shibhnath finished at the top after scoring 384 points in the finals. Asian Games 2018 Host cities are Jakarta and Palembang, Indonesia. Official mascots Asian Games 2018 are Bhin Bhin, Kaka, and Atung. AYUSH inaugurated the Fourth International Ayurveda Congress at the Netherlands. Shri Shripad Yesso Naik Minister of State for AYUSH inaugurated the Fourth International Ayurveda Congress (IAvC) at the Netherlands. The congress would focus on promotion and propagation of Ayurveda in the Netherlands and its neighboring countries of Europe. Key Points :AYUSH : Ayurveda, Yoga and Naturopathy, Unani, Siddha and Homoeopathy. IAS Binoy Kumar has taken over as Secretary, Ministry of Steel, Government of India. He had been posted as Officer on Special Duty in the Ministry since 21st May 2018. Tarun Sagar Jain monk passed away. Tarun Sagar Jain monk passed away on Saturday at Delhi’s Radhapuri temple after a prolonged illness. The 51-year-old monk, who was suffering from jaundice and other ailments, breathed his last at around 3 am. 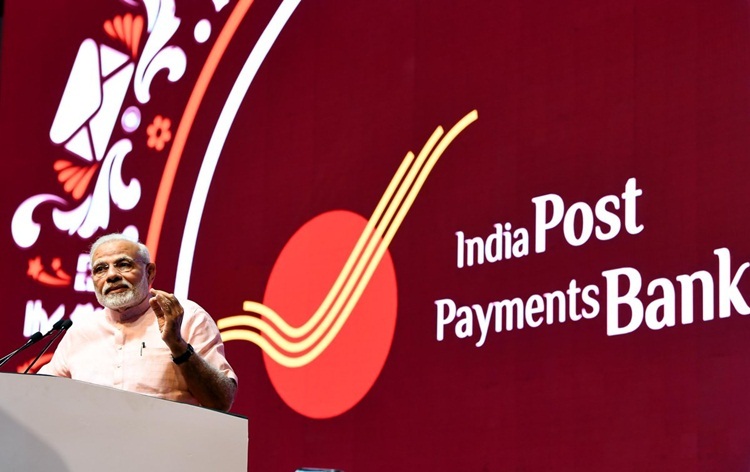 Prime Minister Narendra Modi on 1 September 2018, launched an Indian Postal Payments bank of the Department of Posts that will take banking to the doorstep of every citizen through an unmatched network of post offices and almost 3 lakh postmen and ‘Grameen Dak Sewaks’. Dr. B.K. Misra has been named for prestigious Dr. B.C. Roy National Award. Eminent neurosurgeon Dr. B.K. Misra has been named for this year's prestigious Dr. B.C. Roy National Award as an Eminent Medical Person of the Year. It will be given away by President Ram Nath Kovind on July 1 next year, the National Doctors Day. Instituted by the Medical Council of India in 1962. Sunil Mehta, Managing Director and CEO, Punjab National Bank, elected as the Chairman of Indian Banks’ Association (IBA) for the year 2018-19 at the association’s managing committee meeting. Dinabandhu Mohapatra, Managing Director and CEO, Bank of India, has been elected as IBA’s Deputy Chairman. Justice Ranjan Gogoi will be the next Chief Justice of India. Justice Ranjan Gogoi, the second senior most judge in the Supreme Court, will take charge as the next Chief Justice of India on October 3.